Choose from seven styles of Savvy Rest organic pillows to complete your natural bed. Three are formed natural latex, and four have customizable loose fill—shredded natural latex, organic wool, a wool-natural latex blend, or organic kapok fiber. All Savvy Rest organic pillows have unbleached, naturally-colored organic cotton casings with a soft flannel finish. Soft, shredded natural latex (blended Dunlop and Talalay) conforms to your neck and shoulders for secure yet movable support. If you “sleep hot”, you’ll appreciate how this pillow’s fill helps stabilize your temperature. Filled with a mix of organic wool fiber and shredded natural latex, this pillow combines the best qualities of both materials. Filled with fluffy, certified organic kapok, this pillow offers luxurious softness and “fluffability.” An excellent alternative to down. This Medium Dunlop formed latex pillow has a high, rounded edge along its length. Our lowest pillow, this simple Soft Dunlop formed latex design has hollow channels throughout to promote air flow. Choose the size and fill that's right for you. Not ready to purchase an organic mattress just yet? Switching to an organic pillow is definitely a good place to start since your head rests on this item for hours every night. 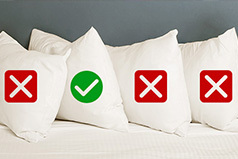 All Savvy Rest customizable pillows have two organic casings. 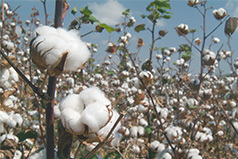 Both are made from unbleached, naturally-colored organic cotton. The outer cover is removable and features an irresistibly soft flannel finish. Four of our seven pillows are customizable, meaning you can unzip the inner casing and take out as much of the natural fill as you’d like. This allows you to adjust the height and overall feel of the pillow. Whether you like a super full and fluffy pillow, or you prefer a flatter one, we have an organic pillow that will work for you. No need for customization? We offer three styles of formed latex pillows: Soap-Shape, Contour (both made from organic Dunlop), and natural Talalay. Dominick and Sheena describe our seven different organic pillow styles. Savvy Rest’s materials were chosen for quality, but also for their health and environmental benefits.